NAR, AAR, MLS. 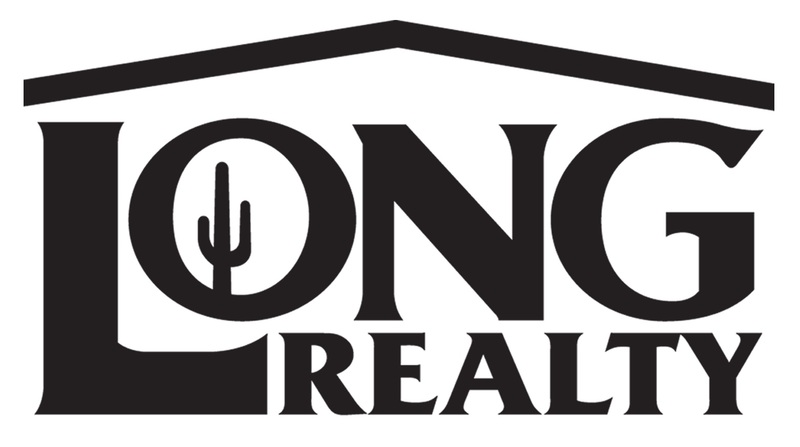 Founded in 1926, Long Realty Company is Arizona’s leading real estate company, with 37 offices throughout Arizona and northern Mexico. Long Realty has been recognized as one of America’s top real estate firms. In addition, Long’s exclusive Luxury Properties marketing program specializes in marketing upper end residential real estate including homes, estates, land, ranches and custom home sites. Long Realty Company, combined with Long Mortgage Company, Long Title Agency and Long Insurance Group offers consumers the opportunity for one-stop-service programs that provide ease and convenience in purchasing or selling a home. Long Realty Company maintains an awardwinning, full service relocation department with highly trained, certified specialists. Long Realty’s vision is to create and deliver an unparalleled customer experience throughout the entire home ownership life cycle. Business Hours: 520.918.3833 After Hours Message Center: 520.918.1616.